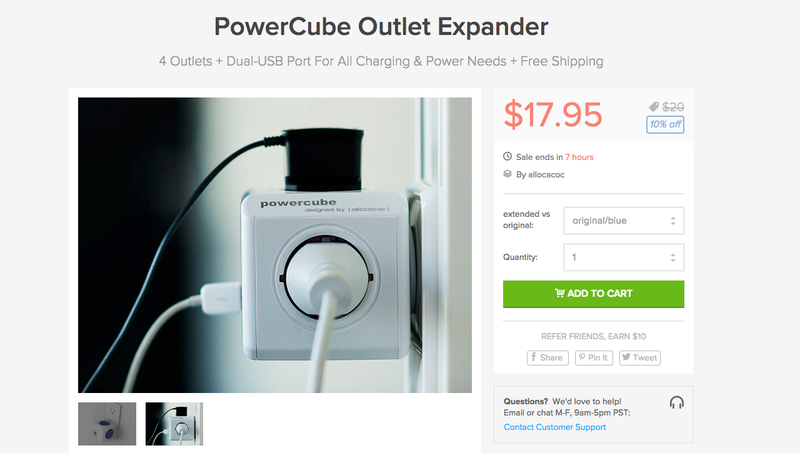 A deal taking place on the DL Deals Store for a PowerCube Outlet Expander can turn your boring wall socket into a complete power house. Priced at just $18, with free shipping, you stick the Expander into your wall, gaining access to 4 additional outlets and two USB charging stations. Perfect airport companion? I think so. The Expander is ETL and cETL certified, as well as features a resettable fuse that ignites if you exceed 15amps. This should allow you to keep all of your electronics safe from explosion. If you need help at an outlet, have at it.